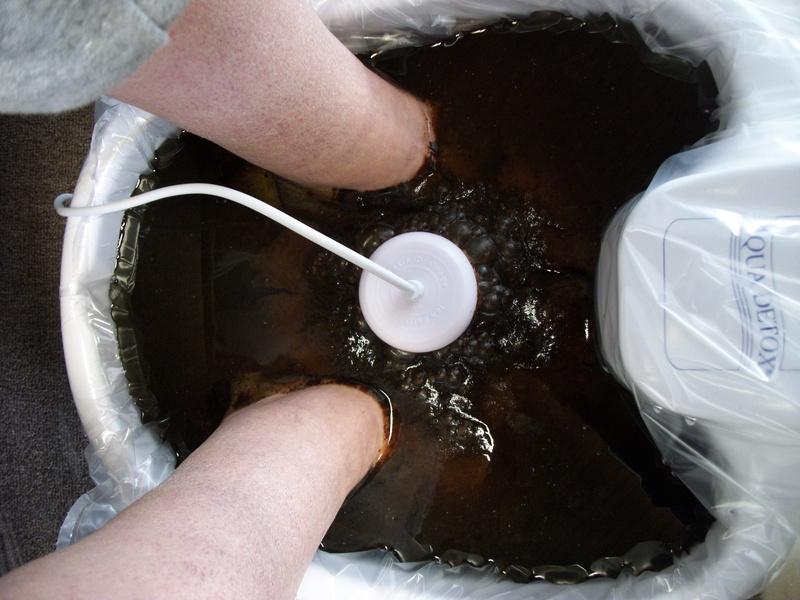 The ionic foot bath detox water pictures that you see below are the result of our process that we call total body cleansing. 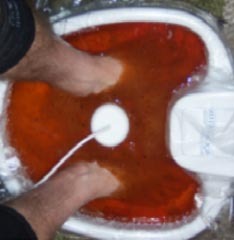 In the ionic foot bath control pictures, notice how uniform the water is when there are no feet in the water. Then notice how much you see in the water when a person has their feet in the foot tub. 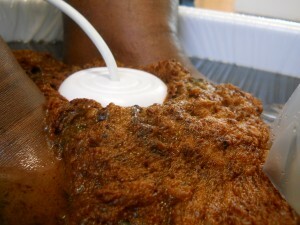 Enjoy the detailed ionic foot bath result pictures from some of our clients at Optimum Health, Natural Healthcare Center. 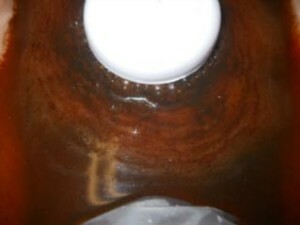 Click the words below the pictures to see more pictures of detox results for that category. IONIC FOOT BATH DETOX WATER CONTROL PICTURES TAKEN AT 5 MINUTE INTERVALS. The above pictures make it clear that there is a major difference between running the machine without feet in the water and running the machine with feet in the water! If a detox machine gives the same resulting detox water whether feet are in the water or not, consider the possibility of the detox machine being a cheap imitation that isn’t cleansing or interacting with your body. Based on our observations along with comparing the water results with what our client’s physicians have diagnosed, we have been able to draw certain conclusions from how the resulting detox water appears. These conclusions have not been accepted by the American Medical Association or the Food and Drug Administration. However, these conclusions presented in the following pictures have held true for the eight years that we have offered this service. 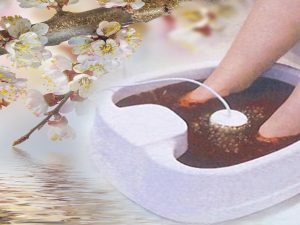 Have You Had An Ionic Foot Bath To Remove Your Toxins Lately? Come See What Your Detox Water Will Look Like! ORANGE = ISSUES WITH THE JOINTS. 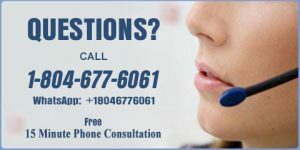 We would be happy to discuss this process with you. Scroll to the bottom of this page to use the contact form to email us or call 804-677-6061!